Port Canaveral Florida: The hosts of the Catch a Memory Outdoors radio show have teamed up with the Florida Wildlife Commission (FWC) to help promote a special three day weekend where recreational anglers can harvest red snapper in federal waters off the Atlantic coast of Florida. This three-day weekend will be held August 23, 24, and 25 of 2013. The Catch a Memory Outdoors show hosts have enlisted the help of Dave Hiel, Bluepoints Marina and a huge list of other local businesses to create a red snapper tournament during the special open season to increase angler awareness for the FWC’s data collection efforts. This event will take place at Bluepoints Marina on Saturday August 24th, with the weigh in running from 4:00 till 5:30 pm. A guaranteed $2,000 cash or check first place prize for the heaviest red snapper weighed in by a tournament angler is the top prize in this event. Other cash and prizes will be awarded for second through tenth places, (maybe more) and there are three ladies and three junior prize categories as well. Tournament entry fee is $100 per boat and all of the registration fees are going to support Don Hammond’s Dolphin tagging research being conducted through the Hilton Head Reef Foundation. Click the button to download the Rules and Registration forms. FWC biologists are excited about public efforts to help with this research because it will directly benefit recreational anglers in the long run with better understanding of red snapper growth rates, distribution, and age classes that are currently living in Atlantic coastal waters. 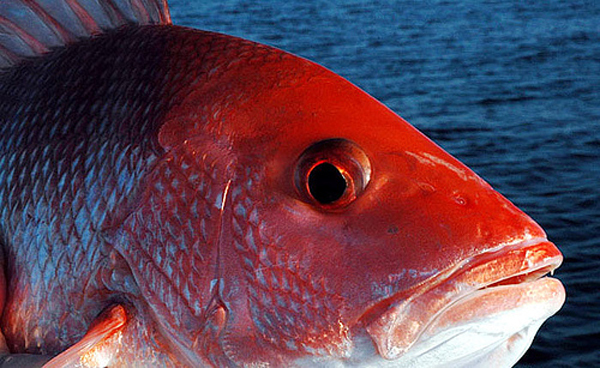 Anglers fishing during this three day season are urged to bring their red snapper carcasses to an FWC check in location for measurement and removal of the fishes Otoliths or “growth stones”. This research campaign is based on angler driven data of their catch efforts and successes. The FWC says that this type of data collection is extremely important to them because it provides additional information about the species, which is closed for harvest throughout the Atlantic basin at this time. Captain Jim Ross who is one of the hosts of the Catch a Memory Outdoors radio show realized that there are some anglers that may not be interested in entering a red snapper tournament. So plans were made to award cash and prizes to non-registered tournament anglers as well. Jim stated “The importance of the red snapper data collection effort are critical to the local angling community as well as the coastal businesses and economy that benefit from this important species. We at Catch a Memory outdoors along with the people and businesses that have partnered with us on this tournament, feel that it is imperative to do everything possible to gather factual and scientifically sound data on the red snapper. Our goal is to have recreational anglers help to create a scientific data base that will bring proper management practices to the red snapper stocks in Atlantic coastal waters even if they don’t want to fish in our red snapper research tournament”. Non-tournament anglers can still bring their red snapper to the weigh in at Bluepoints Marina on Saturday between 4:00 and 5:30 pm to potentially win up to $100 cash or a variety of other prizes just for allowing their fish to be examined by the FWC staff on hand. Captain Rick Murphy- an extremely popular south Florida fishing guide and host of the award winning Chevy Florida Insider Fishing Report and Sportsman’s Adventures televisions shows has also joined forces with the FWC and Catch a Memory Outdoors by donating a guided full day fishing charter with him in the Florida Everglades for up to two anglers. This is separate promotion from the research tournament being held on Saturday, but allows recreational anglers additional incentive to help with data collection efforts. In this promotion the angler that brings in the longest red snapper carcass caught by rod and reel to Bluepoints Marina over the three day open season, will win the excursion offered by Captain Murphy.